So, as you saw on Monday, I recently finished some Curling Tendril Socks as my March Stash Sock of the Month kit. As I have mentioned before, I bought this yarn at Sock Summit back in August. While I was first drawn to the sample sock knit out of this yarn, it wasn't long before I made my way to the mecca that was the Hazel Knits booth. And wow. It was amazing. Lots of color, lots of squooshy yarn, what's not to love!? I picked this colorway because I loved how it looked all knitted up in that sample sock. And, I was super happy that when I knit my own socks with it, it came out just like I remembered. Lovely with soft subtle color changes, just the way I wanted it to be. When knitting with this yarn I found it be super easy on the hands. I mean, yeah, it's yarn, it's merino and nylon how bad can it be, right? But, I do think there are lots of yarn out there with that make up that are scratchy when you knit with it and the softness is found later after it's all knit together and washed. Not the case with this Artisan Sock. So soft while knitting it. The other thing I really loved about this yarn is I found it to be very non-splitty. I don't know if it just how I knit or what, but it is not often that I can really say that I find a sock yarn to be non-splitty. Yarn is usually splitting on me like crazy when I am knitting with those little double pointed needles. Aha! Not the Artisan Sock. I can't remember for sure what I paid for this yarn at Sock Summit, but the Hazel Knits website tells me that the yarn sells for $23.00. Super reasonable for sock yarn at 400 yards. As most of you know, that is about average. I actually would have been willing to pay a little more than that for this yarn. It's that good. 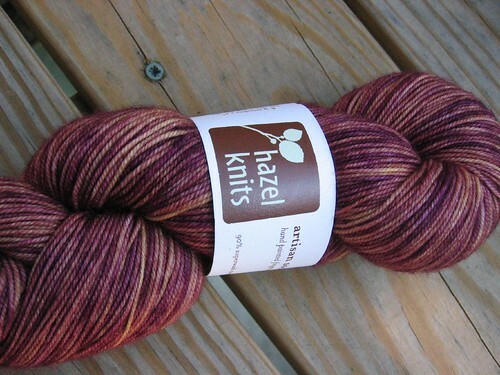 So, yeah, I think you all need to go get some Hazel Knits Artisan Sock as soon as possible. I plan to acquire some in the near future. And, I am imagining knitting it into a fantastic shawl. It's so soft and non scratchy, I think it will be the perfect yarn for those sock yarn shawls I am OBSESSED with. Note: I was not compensated for this review. I just knit with this yarn and loved it so much I thought I would share my thoughts on it. 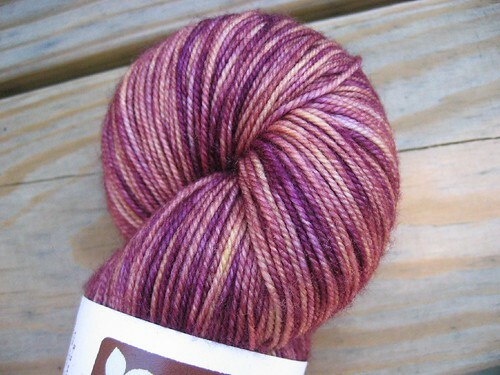 I purchased this yarn during Sock Summit. For more information, please see my disclosure policy here.